Digital World Tokyo | Japanese cellphones to warn of earthquakes, bring down email systems? The three carriers – NTT DoCoMo, KDDI and Softbank – are working to come up with a mass-communication system that will broadcast alerts to phones in the few seconds immediately after a quake strikes. 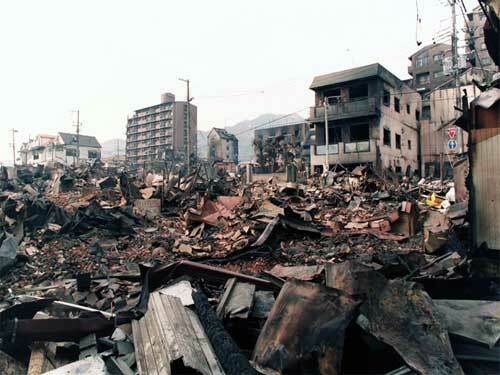 The idea is to give anything from a few seconds’ to a minute’s warning to minimize loss of life in disasters such as the 1995 Kobe earthquake [I was there and it wasn’t fun…], when more than 6,000 people died, or the Kanto earthquake of 1923, when 140,000 were killed in the Tokyo area. Of the three companies, DoCoMo and KDDI are working together, while Softbank is developing its alert system separately. The technology used in each network will rely on central sensors operated by Japan’s meteorological agency that detect the weak primary waves that signal an earthquake has occurred. These already relay information to some hospitals and factories, allowing them to shut down equipment suddenly or to take whatever action is possible in the time allowed. The interval between the primary waves and the arrival of the far stronger secondary waves is where time to issue a warning lies. People further from the quake’s epicenter get the longest time to react before the secondary waves arrive, but even a few seconds could make a difference to those in most danger. As for the method of delivering the warning to phones, that remains undecided, although mass-mailing millions of phones would surely crash networks that already can’t cope at traditional high-volume email times, such as New Year’s Eve. Consequently, it’s possible that dedicated earthquake-alert functions or communication channels may be added to future handsets. Sponsored links: Our 650-195 dumps and 000-106 test practice questions provide you 100% exam pass guarantee. You can get free access to cisco certification & 70-685 exams with multiple prep resources of 70-640.